Leighton Denny is a leading expert and an internationally well-known figure in the beauty world. I am sure you must have heard of his award winning range of nail and tanning products. The Leighton Denny Lip Dual range which is a 2-in-1 colour system offers full lip colour with built-in conditioning moisturisers. 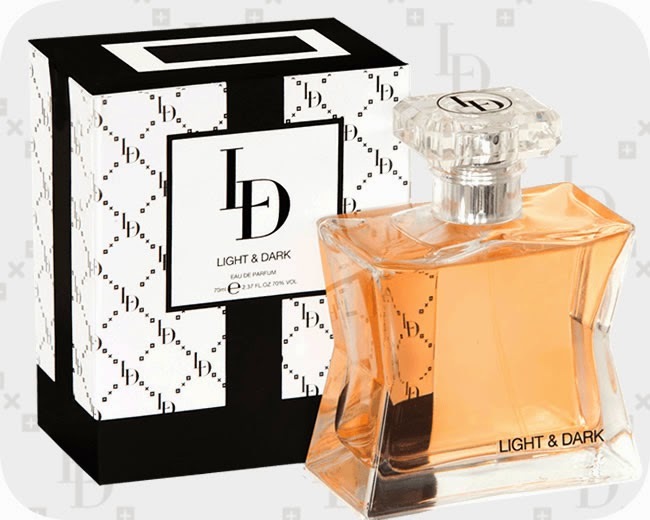 Recently Leighton Denny launched his first fragrance - Light & Dark EDP. According to their website "Light & Dark is designed for women looking for something out of the ordinary. For those who want to seduce, this is the perfect weapon. It is wild, mysterious and intoxicating - a scent that women love to wear and that men adore on them." This is a delicious, sweet, floral scent with a touch of the Oriental to it. I have been loving this right from the first application. It has a lovely blend of fruity and floral notes and is a wonderful autumnal feminine scent. You just need to spray a little as it can be a bit strong. I use it on my pulse points(inside elbows, base of neck and inside wrists) and find the staying power quite good. Light & Dark is a wonderful scent from Leighton Denny and you can win your own bottle of the EDP by filling in the Rafflecopter form below! Yes, Leighton Denny are very kindly giving away a bottle of the Light & Dark EDP to one lucky reader of this blog! The giveaway is open to UK residents only. All the best! Just wear one that suits you. Some scents smell better on some people than others. Not too much either! Walk in to mist so it sticks to your hair and apply to pulse points. I do love the walking into the mist trick, as well as waiting for it to completely dry to really gauge it's scent. my mum always suggested putting it behind me ears. not sure if it affects anything but i always do it!